"I have undertaken a modern subject, a barricade, and although I may not have fought for my country, at least I shall have painted for her. It has restored my good spirits." Through July 28: Liberty Leading the People, Delacroix tells the story of Trois Glorieuses - Three Glorious Days - the Parisian uprising on July 27, 28, and 29 of 1830. The liberal republicans were outraged by the violation of the Constitution, and overthrew Charles X, who was to be the last Bourbon king of France. His predecessor was Louis Philippe, the Duke of Orleans. In this artwork Liberty is personified in the form of a vibrant, rebellious, bare breasted woman who leads the people to victory. She carries the flag proudly. Thrilled to have a modern subject to paint, Delacroix took to the canvas with great pride and patriotism. Though he had not taken an active part in the fighting of the revolution he had done his share for his country. Instead of guns and cannons he used an easel and a paintbrush - he felt it was his duty as a painter to record this event as the revolutionists felt it was their duty to fight. The artist was touched by the three days of revolt by the upper-class, the middle-class, and the lower-class in France all fighting to overthrow Charles X to show their outrage of the violation of the constitution and thus he paid honor to this event by providing a historical recount of French history. July 28: Liberty Leading the People is one of his most remembered and favored works today. Delacroix main compositional device is the pyramid shape; the figure of Liberty is the peak and the dead fighters below her form the base. This pyramid technique balances out the hectic and crowded canvas. 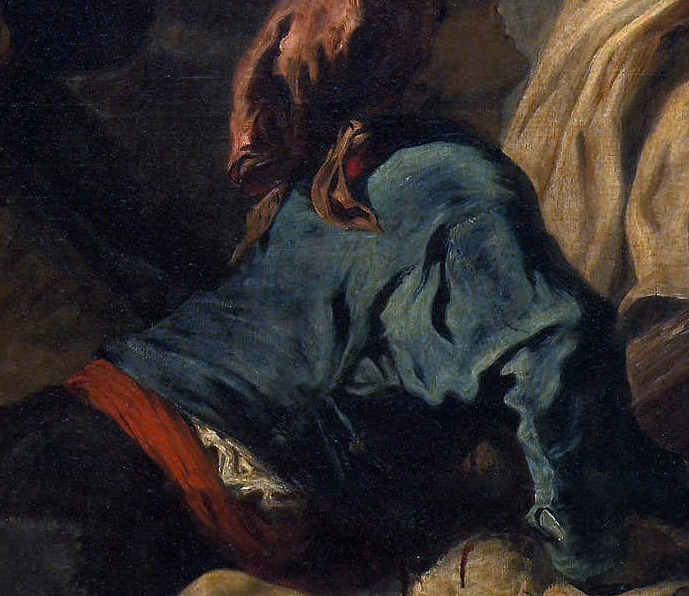 Delacroix's use of color is never surface level. He repeats the color of the French flag to emphasize the power of France and the power of her people. 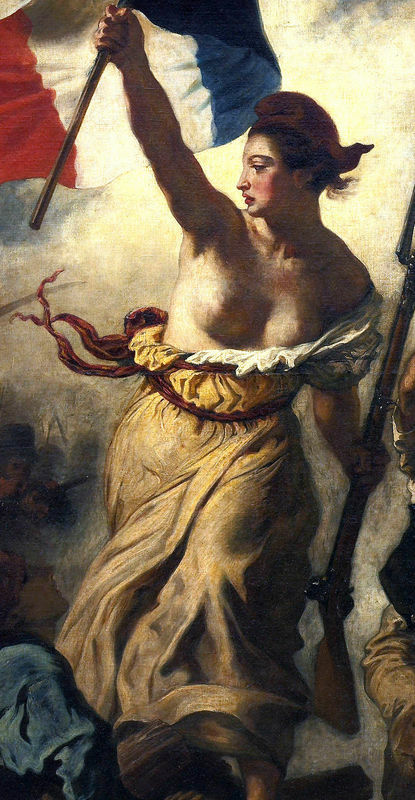 To connect the heroine Liberty with the fighting people, Delacroix uses the same color of her dress on the neck tie of a revolutionist and his colors are repeated used throughout the canvas to create unity, representing that of the revolutionists. Delacroix uses light to illuminate Liberty and to highlight a dead fighter beneath her. This piece conjures up feelings of power, of freedom and of victory while paying tribute to those who died fighting for their cause and country. The emotional rhythm of Delacroix's brushstroke seemed to be a vital part of his originality. In its diversity one can see long and large, continuous strokes as well as small, divided, independent ones. It comes as no surprise that July 28: Liberty Leading the People, as most works of genius, was rejected by contemporary critics. 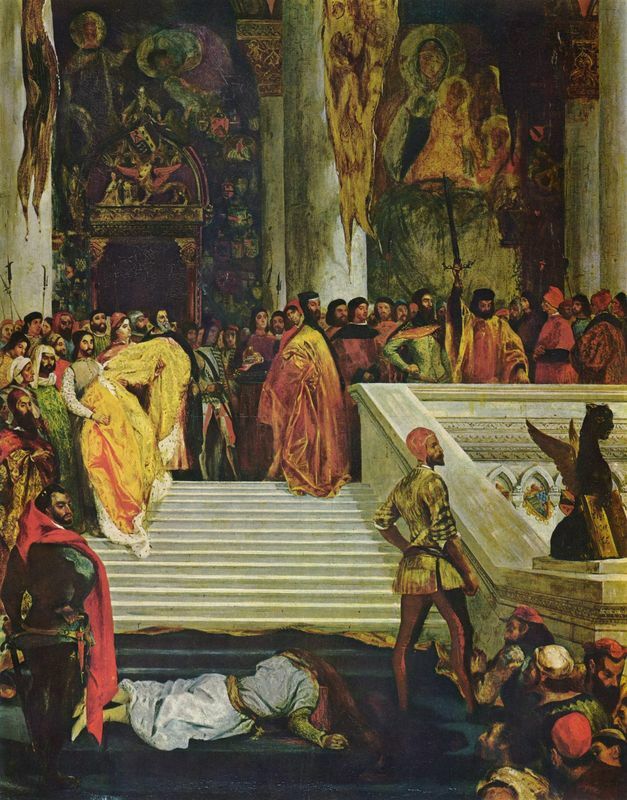 As it was hidden from public view until the year of Eugene Delacroix's death, it wasn't until afterward that the painting received positive reflections from critics. July 28: Liberty Leading the People was not available for public viewing during the king's reign. Critics failed to respond to this innovative work, accustomed to a more classical representation of reality. Delacroix's mix of reality with allegory, actuality and fiction, symbolism and documentary proved too advanced and imaginative for them. 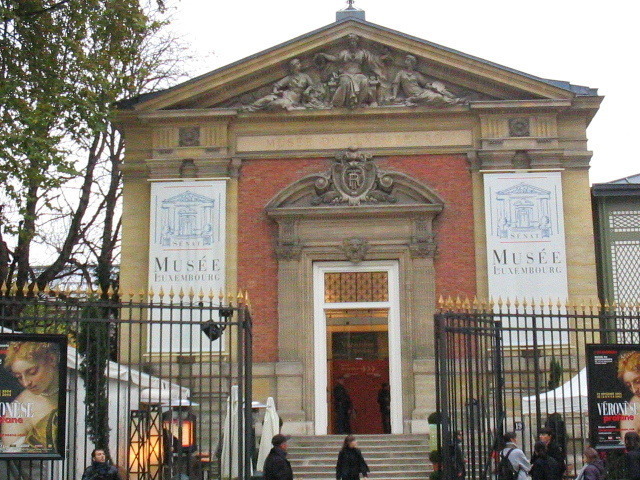 July 28: Liberty Leading the People entered the Musée du Luxembourg in 1863, the same year that Delacroix died. 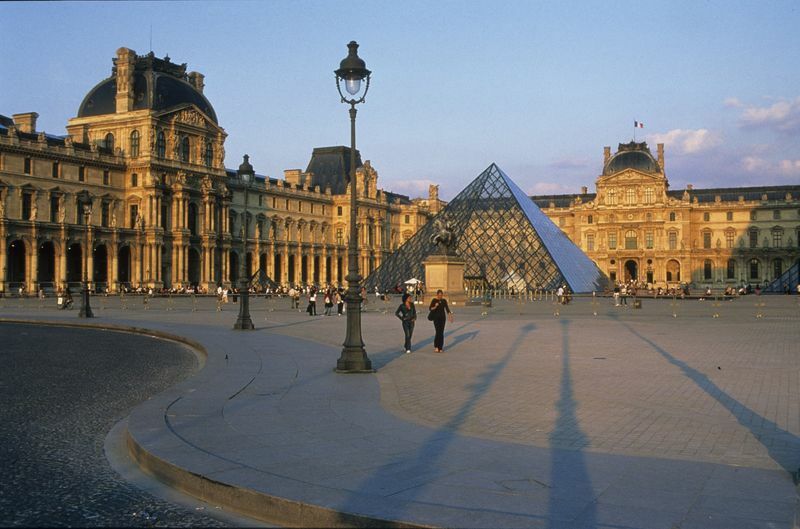 It was moved to the Louvre 11 years later. The response to the work was slightly more favorable after being relocated but it didn't receive the credit it duly deserved until much later on. Critics of today perceive July 28: Liberty Leading the People as a masterpiece and a universal work. They admire the Romantic historical painting and appreciate Delacroix's unique take on this historical landmark. It is said that the Statue of Liberty was inspired by Delacroix's very own personified character of Liberty in his July 28: Liberty Leading the People. A gift from France to New York City, the Statue of Liberty was designed by Frédéric Auguste Bartholdi and was constructed just 50 years after Delacroix's masterpiece. 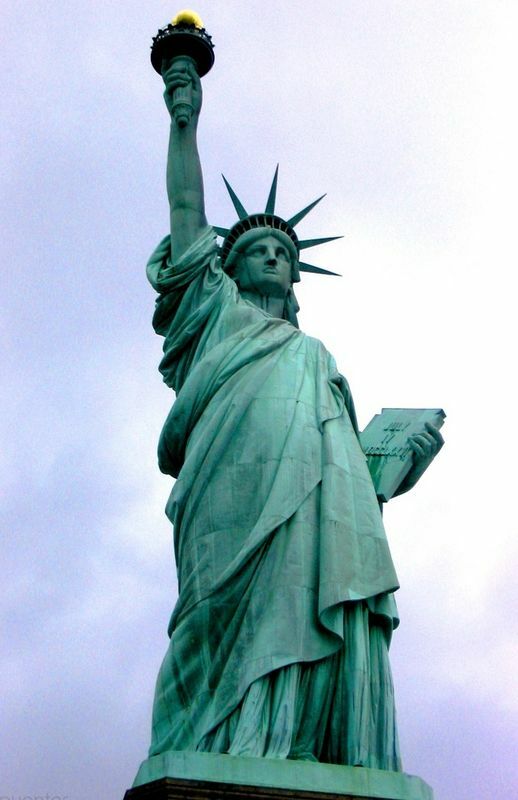 The statue, with a raised right arm holds a torch proudly, very similar to the pose in which Liberty holds the French flag. 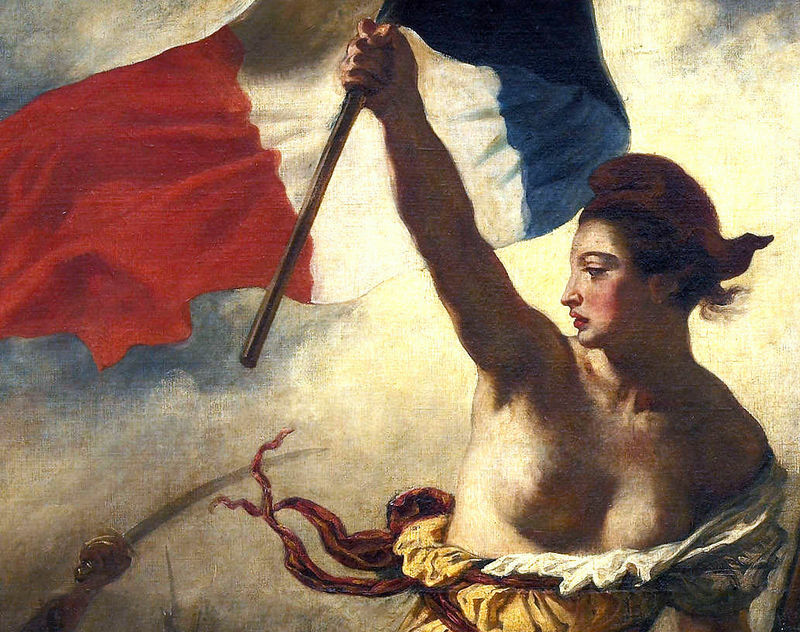 July 28: Liberty Leading the People was purchased by the French government in 1831. 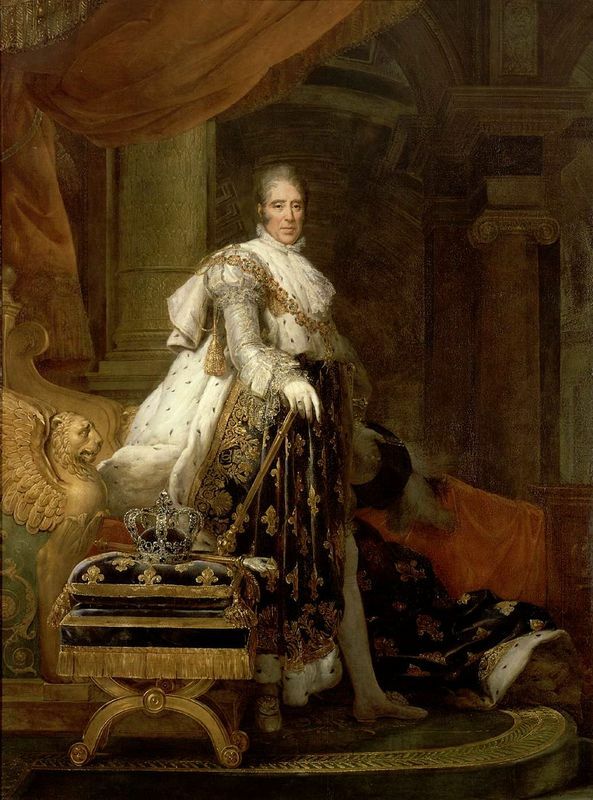 Its intention was to display the painting in the throne room of the Palais du Luxembourg as a reminder of the July Revolution and how the "citizen king," Louis-Philippe had come to power. Instead the painting decorated the walls of the Palace museum before being taken down because of its political message just a few months later. It was exhibited in 1848 and then again at the Salon of 1855 before being transferred to the Louvre in 1874. 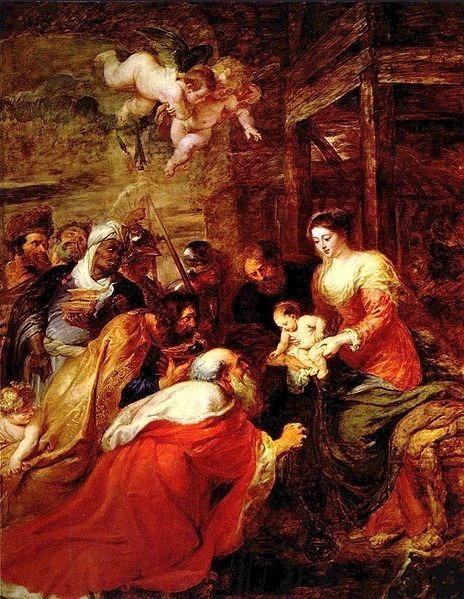 It was important to Eugene Delacroix to paint historical subject matter, whether it was from the ancient past or a more recent occurrence. As the Parisian uprising of July 1830 was a poignant event in Parisian history, Delacroix worked quickly to pay his homage to this life changing event. He painted July 28: Liberty Leading the People at the age of 32. 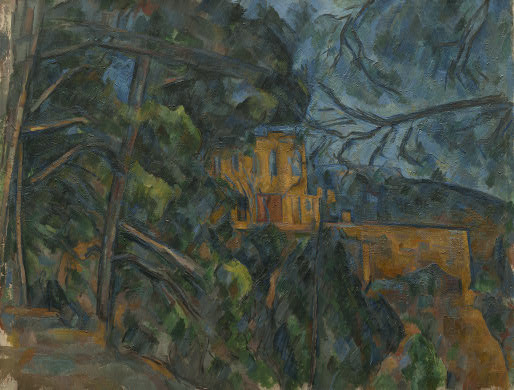 After developing the plan for the painting by preliminary sketches, he completed the work in just three months. It was finished in November of 1830 and exhibited at the Salon in May of 1831. Delacroix believed that although he did not actively participate in the actual fighting, he had done his duty for his country by painting July 28: Liberty Leading the People. The impact of literature and both historical and contemporary events, coupled with his innate artistic technique created an explosive viewing experience on canvas, as seen in July 28: Liberty Leading the People. 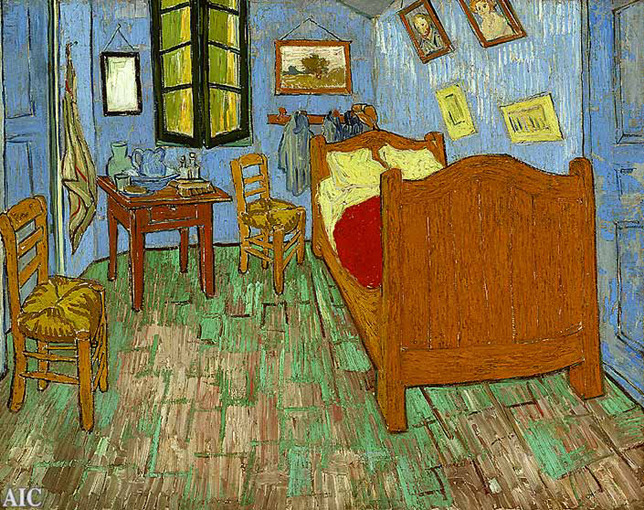 Romanticism emphasizes the individual sense of self, creativity, imagination, and the value of art to make a statement. This emphasis on the individual is reflected in the ideas of self-realization through the act of contemplating nature. There is the idea that the individual can only directly understand nature, free from society. Peace and salvation come through the individual rather than through political movements.